In post-Revolutionary New England, botany was one of the few areas of study that educated classes considered suitable for women. 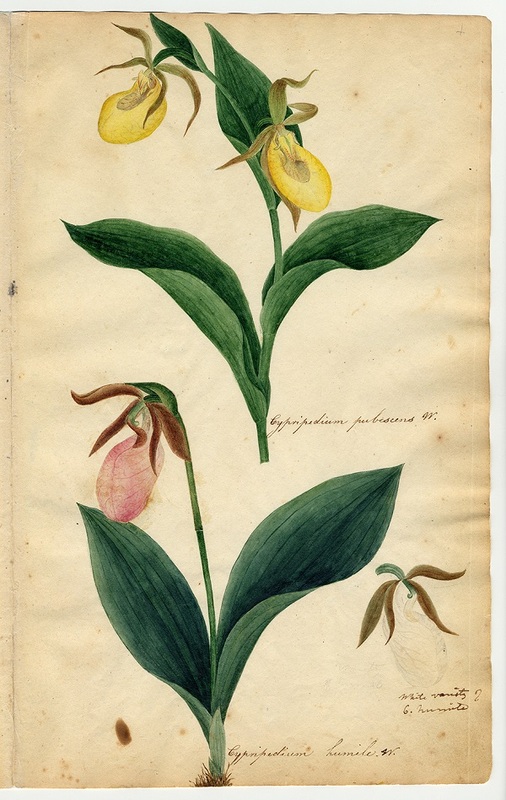 As the field increased in popularity at the turn of the eighteenth century, the number of introductory texts on botany multiplied, as did the emphasis on botanical illustration. The Massachusetts woman Orra White Hitchcock was an important figure among the small but impressive number of female botanical illustrators who flourished at this time. 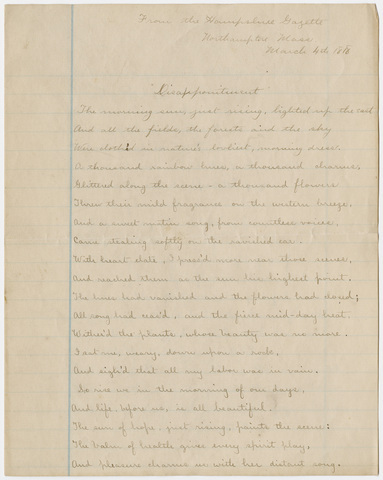 As was typical of the time, Orra primarily worked as an assistant for her husband, the scientist Edward Hitchcock, creating watercolor renderings of orchids, carnations, and violets that supported his field research in the natural sciences. 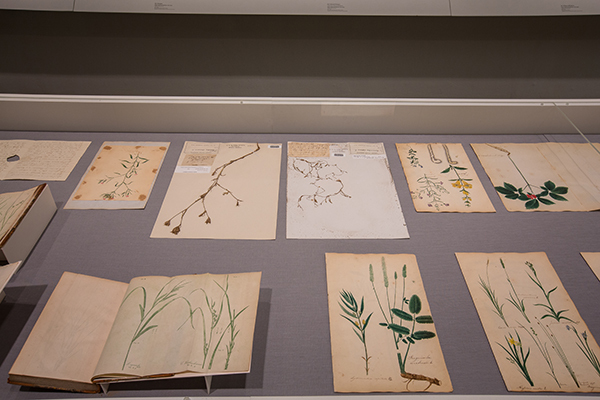 These colorful floral sketches were recently the highlight of the exhibition Charting the Divine Plan: The Art of Orra White Hitchcock (1796–1863) at the American Folk Art Museum in New York (fig. 1). With its rich presentation of biographical material, including poems and personal letters, Charting the Divine Plan effectively situated Orra as a woman who found a way to create visual works while complying with expectations of female modesty and affability of the early republic. 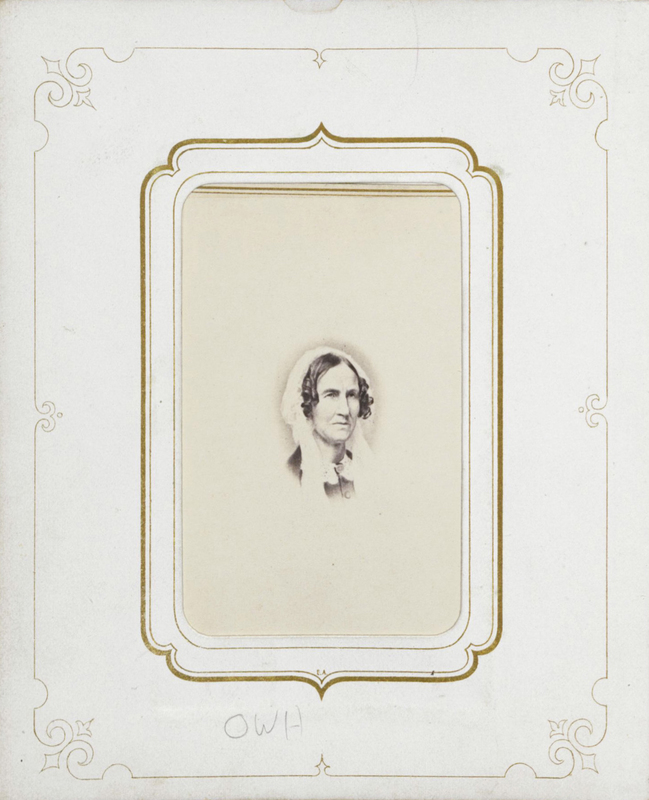 Charting the Divine Plan constituted a long overdue presentation of Orra’s work, yet a reticence to reference the inequities she faced gave a distorted view of female experience in the patriarchal societal circumstances in the early United States. A close look at the archival material that documents Orra’s life (fig. 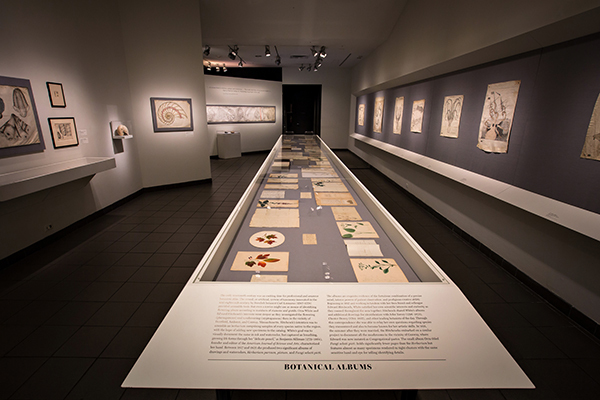 2) and the botanical illustrations that were on view at the American Folk Art Museum tells a story that contradicts the exhibition narrative. While women were encouraged to amuse themselves with the appearance of flowers and classification of plant varieties, the matter of plant reproduction remained another matter entirely. Eighteenth-century botanists often discussed flora in a way that incorrectly drew analogies between plant and human sexuality, anthropomorphizing plant reproduction by referring to the “marriages” between stamens and pistils.5 For this reason, texts on botany for women often glossed over discussions about plant reproduction. The botanist Henrietta Moriarty, among others, even argued that the topic of reproduction would lead to “ingenious speculations and allusions [ . . . ] dangerous to the young and ignorant [women]” and was therefore best omitted.6 Visitors to the American Folk Art Museum with specialist knowledge of botany will notice that Orra, too, unsexed the plants she rendered. In one watercolor with yellow and pink orchids, Orra completely removed the intricate reproductive organs of each flower, which, in truth, feature prominently in an orchid’s bearing. In Orra’s watercolor, one does not see the pollen-producing column that enlarges the topmost part of the orchid stem, but instead sees a single, smooth, and unencumbered petal. Wither’d the plants, whose beauty was no more. In this review, I have attempted to provide observations that are absent from the interpretive material provided by Charting the Divine Plan, and I suggest that Orra was less accepting of the prescribed female gender roles than the exhibition proposed. By framing Orra’s marriage to Edward as a “friendship and collaboration,” Hollander declines to acknowledge that the qualities of Orra that Charting the Divine Plan venerates—her modesty and affability—were cultivated under conditions that limited women’s self-expression. The basis of my critique is that the American Folk Art Museum represents Orra as a free woman who chose botany, marriage, and labor as an illustrator for her husband, but she was in fact not free. The material that reveals this is unsurprisingly limited in scope, and we catch only glimpses of the way Orra’s life was shaped by the disciplining aims of female education and social persuasion. Indeed, while we know Edward’s thoughts about Orra from his written mentions of her, we can never truly know Orra’s perspective, for in the hundreds of diary entries that survive, conceivably for fear of ostracization, she writes primarily of the weather in Central Massachusetts. Despite Orra’s reputation as a successful woman artist in the early nineteenth century, I do not suspect that Charting the Divine Plan will be a rallying point for feminists anytime soon. Art historians, likewise, while seeing the value in the exhibition, may be disappointed that the museum chose to validate a perspective on female identity that reflects rather than challenges early republic patriarchy. While the reminder that the early republic was not a time characterized by egalitarianism may seem redundant, the bold thesis of Charting the Divine Plan demonstrates that this statement bears repeating. Cite this article: Amber Harper, review of Charting the Divine Plan: The Art of Orra White Hitchcock, American Folk Art Museum, Panorama: Journal of the Association of Historians of American Art 4, no. 2 (Fall 2018), https://doi.org/10.24926/24716839.1681.